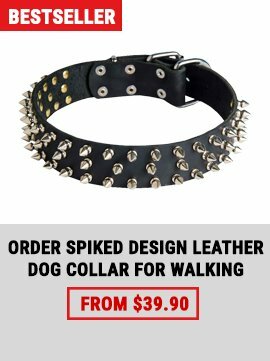 This collar will fit dogs with neck size 23 inch and up to 28 inch (59 cm - 72 cm) Need a different size? 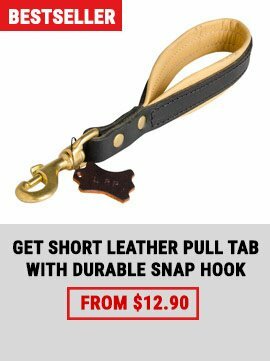 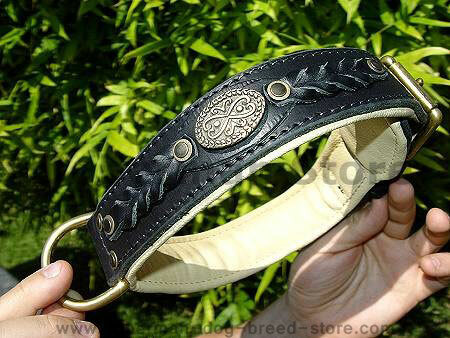 Please contact us This Collar Is Extra Wide - Almost 1 1/2 Inch and made of highest quality leather - Which Makes It Perfect Tool For Handling Large And Active Breeds This Leather Collar Is Made With Attractive Braids !!! 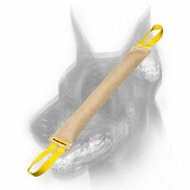 That Help Bring Out The Beauty Of This Hand Crafted Creation. 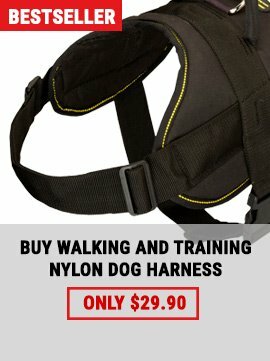 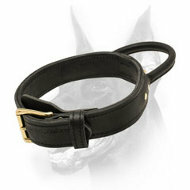 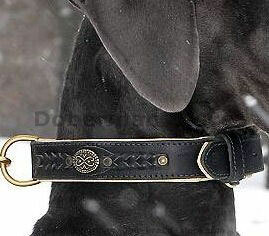 Our canine collar rank second to none! 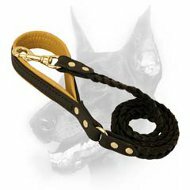 Dobermans are so much intelligent dogs in order to wear ordinary accessories except for sophisticated ones! 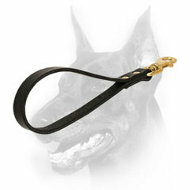 Doberman's nobility is to emphasized!! 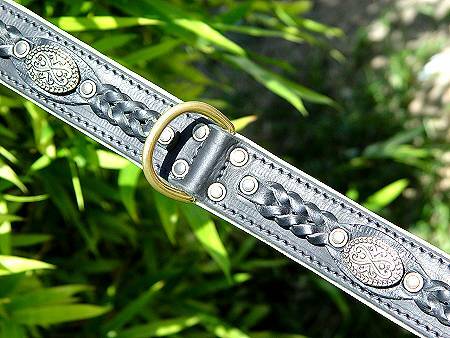 This braided collar is a right cohice for accenting your dog's individuality!